The diaries of Captain Scott’s widow – and the papers of her second husband, Lord Kennet – will be made accessible to researchers at Cambridge University Library following their acceptance in lieu of inheritance tax. Lord and Lady Kennet led fascinating lives and these papers will be of great interest to researchers. Kathleen Scott, the sculptor and widow of Captain Robert Falcon Scott, married journalist and politician Hilton Young, 1st Baron Kennet, in 1922. Her papers include diaries covering a period of over 35 years, records of her sculpture and exhibitions as well as other writings. These include a major series of significant letters from some of the most distinguished and powerful politicans, writers, artists and explorers of her generation. 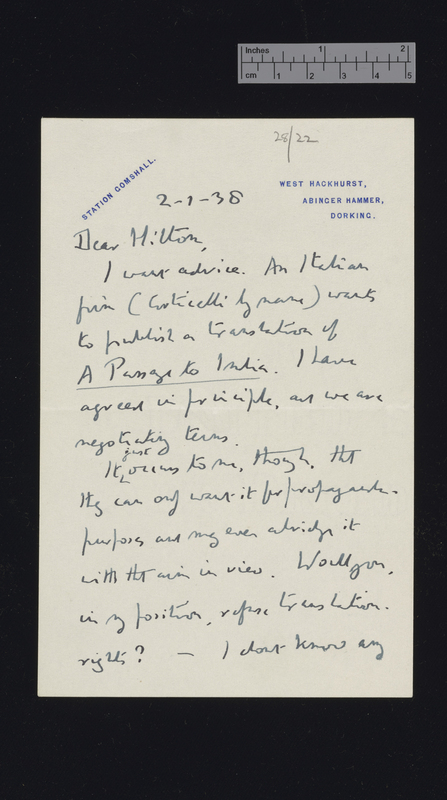 Of particular importance are the papers and letters relating to her first husband Captain Robert Falcon Scott. Together with her diaries covering the period of Scott's last Antarctic expedition, the material is of the utmost interest for our understanding of the legendary explorer. The papers also reflect the fascinating careers, interests and connections of Lord and Lady Kennet and are of importance for the study of British military and political history, as well as of literary and cultural attitudes and concerns during the first half of the 20th century. Edward Hilton Young was a British politician and writer. He embarked on a career in financial journalism, working for various papers including The Economist and the Morning Post prior to serving for the Royal Navy in World War One, where he was awarded a Distinguished Service Order and Distinguished Service Cross. 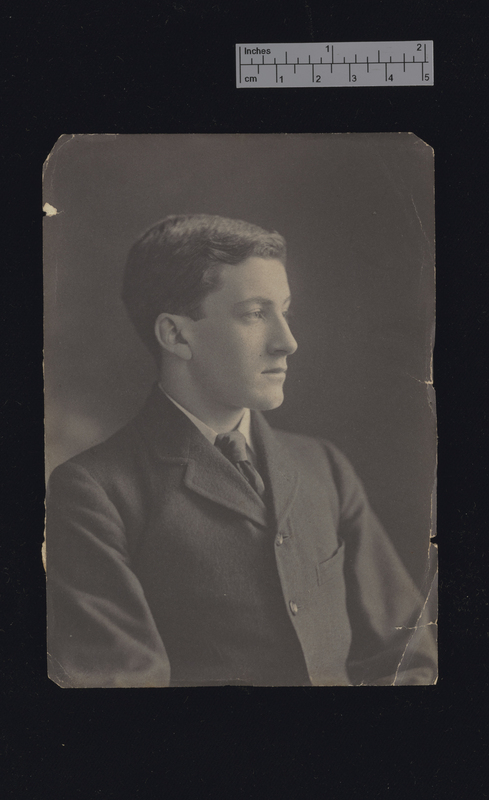 He entered Parliament in 1915 as a Liberal MP, becoming Financial Secretary to the Treasury in 1921. After the 1922 election, he became Chief Whip for Lloyd George's Liberal Party and in 1926 joined the Conservatives, serving as Minister for Export Credits and then as Minister of Health. In 1935, Hilton Young accepted a peerage as Lord Kennet of the Dene. 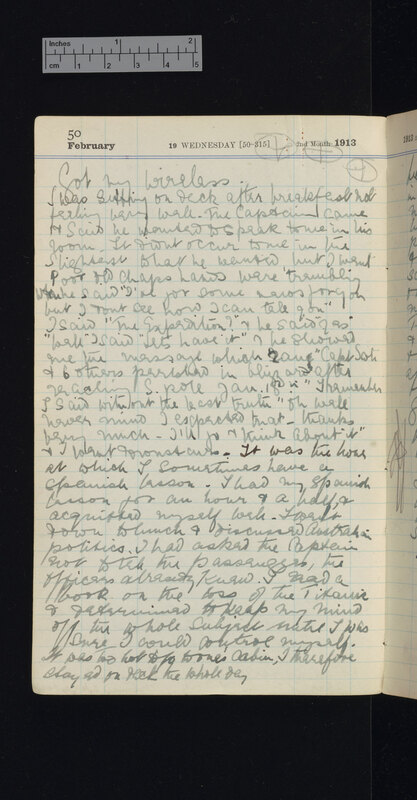 The archive at Cambridge University Library includes his wartime diaries and logbooks and his political papers and correspondence. Also accepted were the papers of Wayland Hilton Young, 2nd Baron Kennet (1923-2009) which have been allocated to The Churchill Archives Centre at Churchill College. Wayland Young’s papers detail his political career in both the Labour and Social Democratic parties. The files include working drafts, fragments of memoirs, notes for speeches and articles, and substantial correspondence and papers for Europe Plus Thirty, the EEC project he chaired in 1974-1975 forecasting how Europe would look in 30 years. The acceptance of the collected material settled £402,500 of tax. The Acceptance in Lieu scheme is administered by the Arts Council. The Acceptance in Lieu Panel, chaired by Edward Harley, advises Ministers on whether property offered in lieu is of suitable importance, offered at a value which is fair to both nation and taxpayer and whether an allocation wish or condition is appropriate. AIL enables taxpayers to pay inheritance tax by transferring important works of art and other important heritage objects into public ownership. The taxpayer is given the full open market value of the item, which then becomes the property of a public museum, archive or library. In the last decade the scheme has bought over £250m of cultural property into public collections.